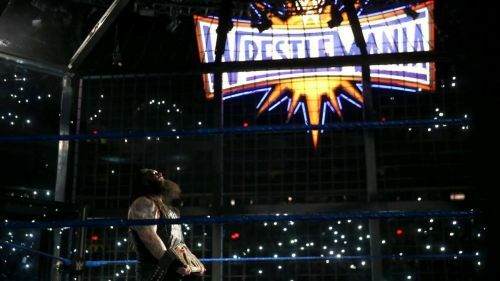 The Elimination Chamber has been a major part of the Road To WrestleMania for the past 10 years. It's been featured as a February WWE pay per view since 2008, with the exception of 2016 (presumably to build the new Chamber pictured above). Before this Sunday's Elimination Chamber pay per view, a total of 20 matches have taken place inside this brutal match that was created by Triple H in 2002. The first was at the Survivor Series pay per view, and in 2010, the Chamber had its own event. During the 16 years that the Elimination Chamber has been in existence, a total of 64 WWE Superstars have entered this unforgiving structure. After this Sunday, another 13, including the first six women, will add to that total. When you have career longevity like Kane, you're going to hold a lot of records in the WWE. There are a lot of Royal Rumble records with Kane's name on them, and he also ranks fifth all-time in most appearances in the Elimination Chamber. Kane took part in the very first Elimination Chamber match at Survivor Series in 2002 where he entered fifth, but was the third one eliminated when Chris Jericho hit him with a Lionsault. His last Chamber appearance happened in 2013 where the SmackDown star who won the match would go to WrestleMania 29 to face the WWE World Heavyweight Championship that was surprisingly won by Jack Swagger.